RECREATIONAL PARADISE WITH SOMETHING FOR EVERYONE: Just imagine owning a rustic home with about 3,000 sq. 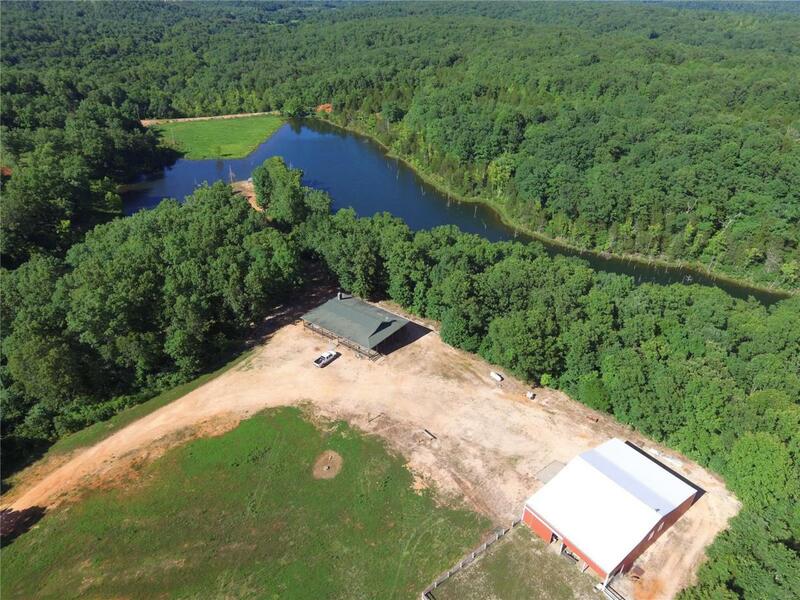 ft. of living space overlooking an established 9+ acre stocked lake and pavilion. There's a 30'x48' insulated workshop with a 24'x48' lean-to for equipment and big boy toys along with a 24'x48' lean-to offering two horse stalls and large tack room, for the equestrian of the family. If that's not enough, take a ride down to the camp ground along the spring feed Mill Creek and do some swimming, small mouth bass fishing or check out the large cave if you're feeling really adventurous. You can also take advantage of some really good deer and turkey hunting this fall. This is truly a rare find to have a property that offers so much diversity. Listing provided courtesy of United Country Homestead Real. Listing information © 2019 Mid America Regional Information Systems, Inc.